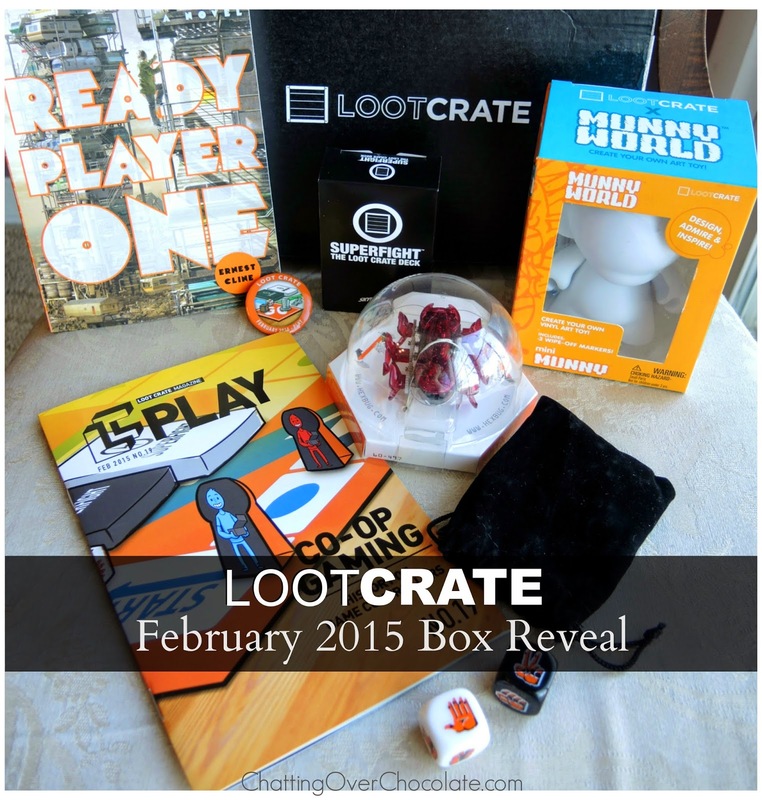 As part of my mystery box Valentine's Day theme for the family this year (see Little One and Princess' boxes here and here), I surprised the hubs with a Loot Crate. 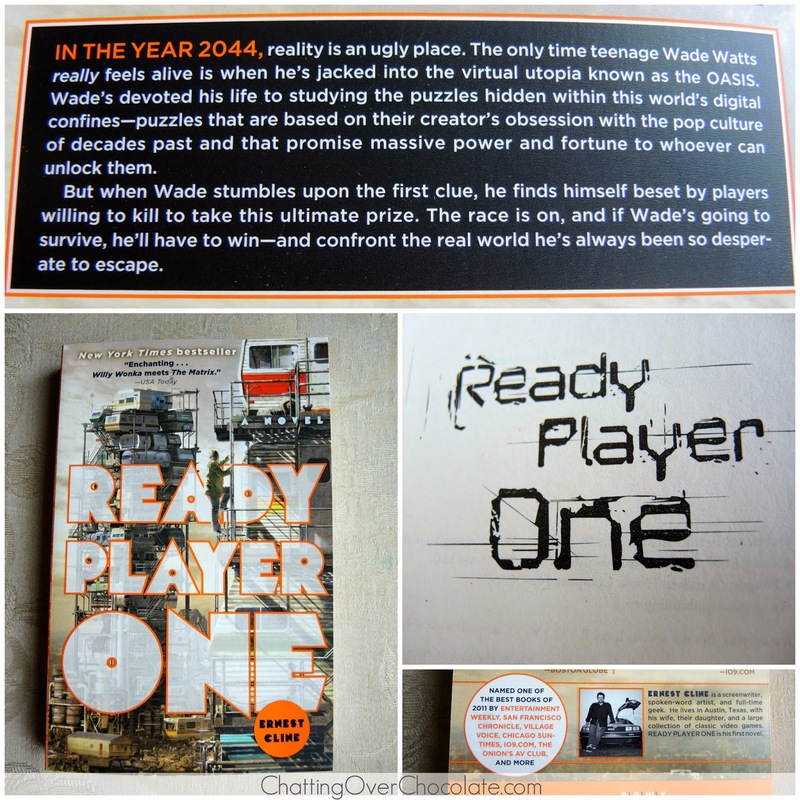 It was so much fun to watch him open and even better to get into the theme of this month's box and "play" as a family! Here's a look at the loot! 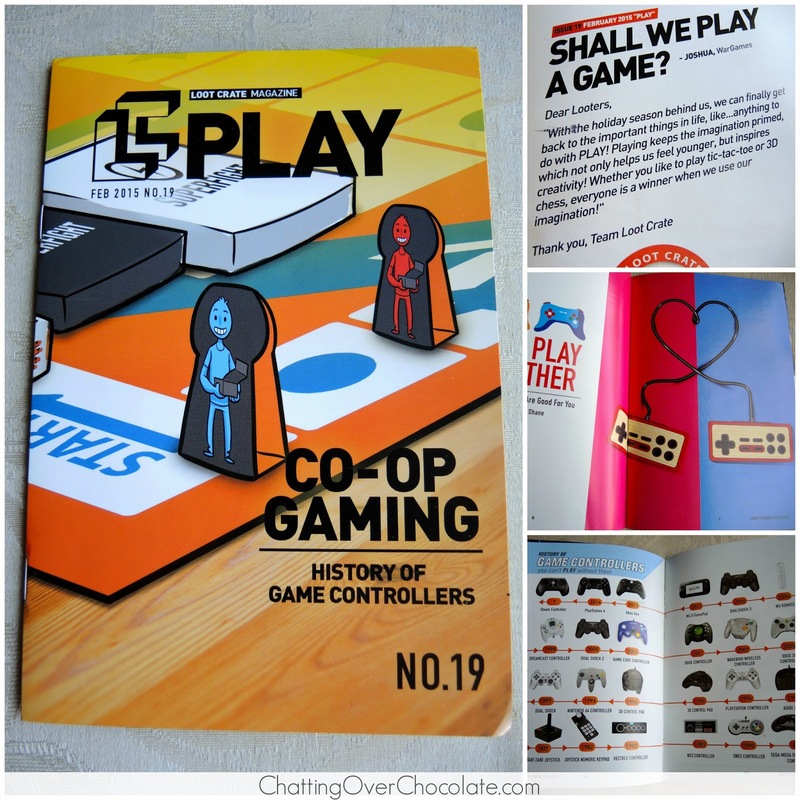 The mag included information on this month's Loot Crate contents, a few articles, and some fun features like the "History of Game Controllers". Jason immediately said we'll be using this to decide where we're eating dinner. Such a fun, random thing to own! Players are given cards with characters ranging from Prince Charming to King Kong. Then armed with bizarre weapons, they are put into hysterical scenarios, and a given a location where they'll duke it out. 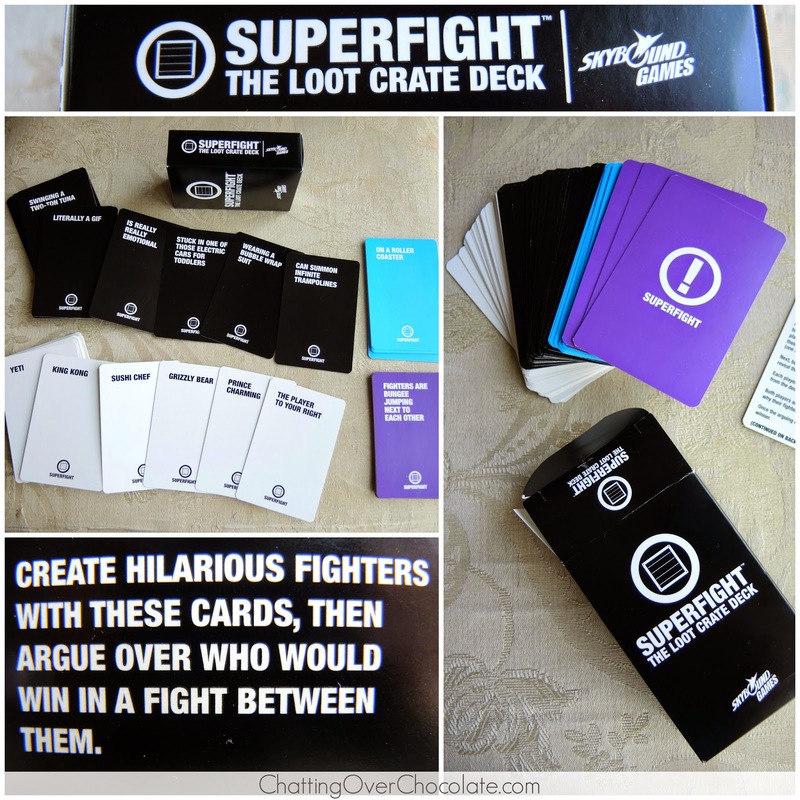 Each player argues why their "fighter" would win against others. This game definitely facilitates laughter and family fun! This speedy robotic bug is the only ant I don't mind running through my kitchen! 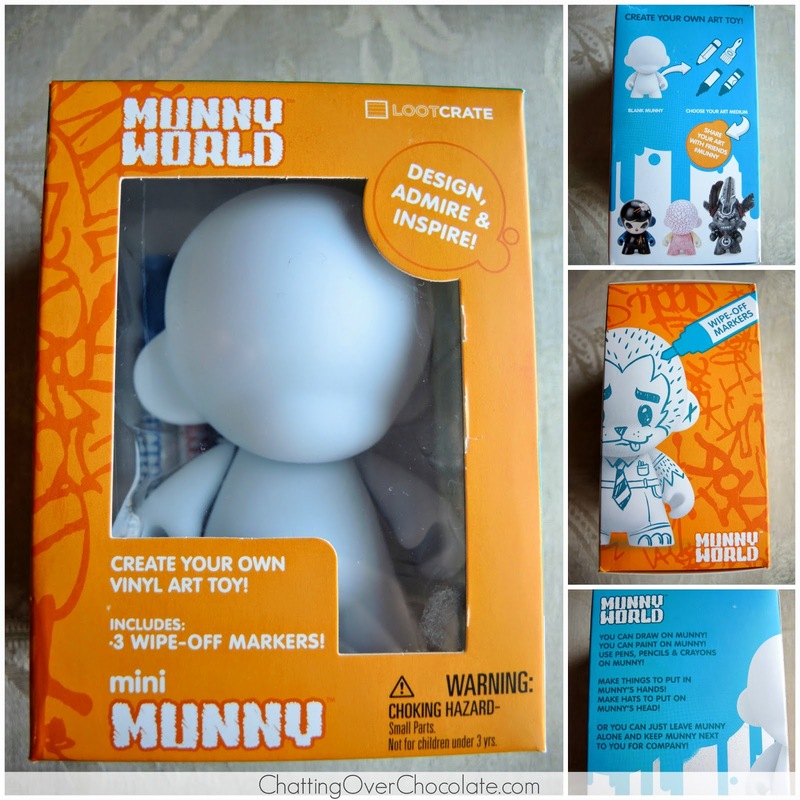 A create-you-own vinyl art toy that Jason promptly passed along to Little One to design, and redesign as it included wipe-off markers! 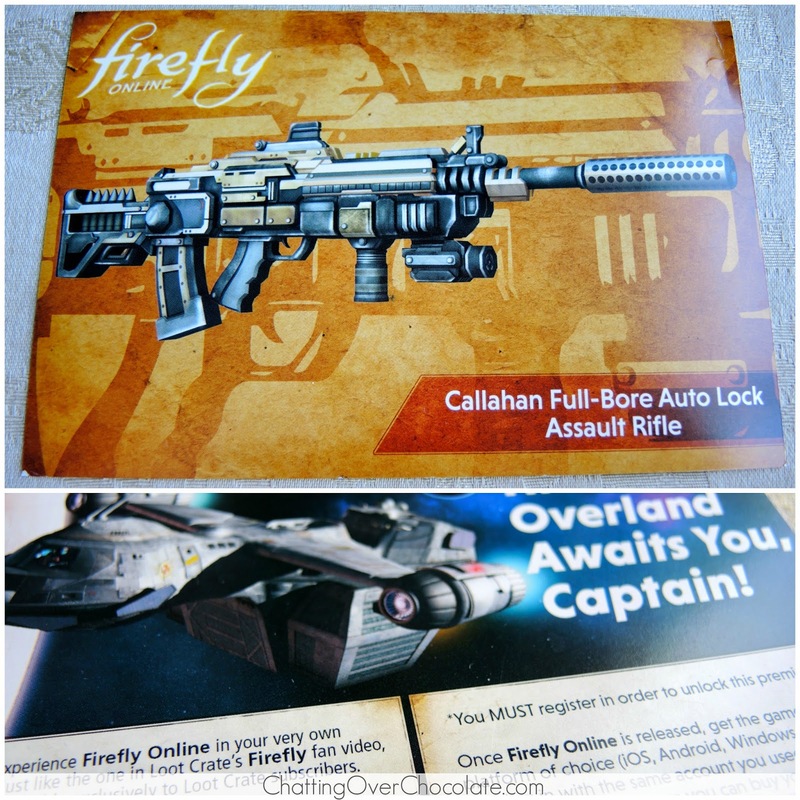 A code on the back of this card allows Loot Crate subscribers to experience Firefly Online in their very own premium ship. We have never watched Firefly, but it's in our queue waiting for us. This won't likely get much use at our house, but I'm sure there are some fans out there who were very excited about it. 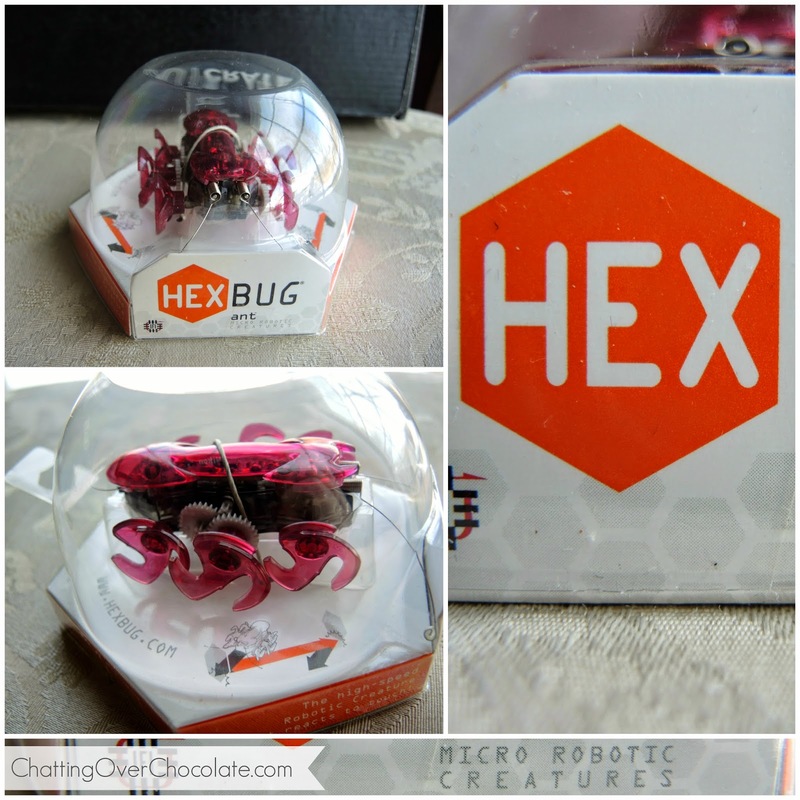 Boasting this month's theme, "Play", it's cute as a button! I think this gift was a success. It surely did give our family an excuse to "play"! Wanna snag next month's box, or give it as a gift? Here's a link for you! Nerd Block Jr. 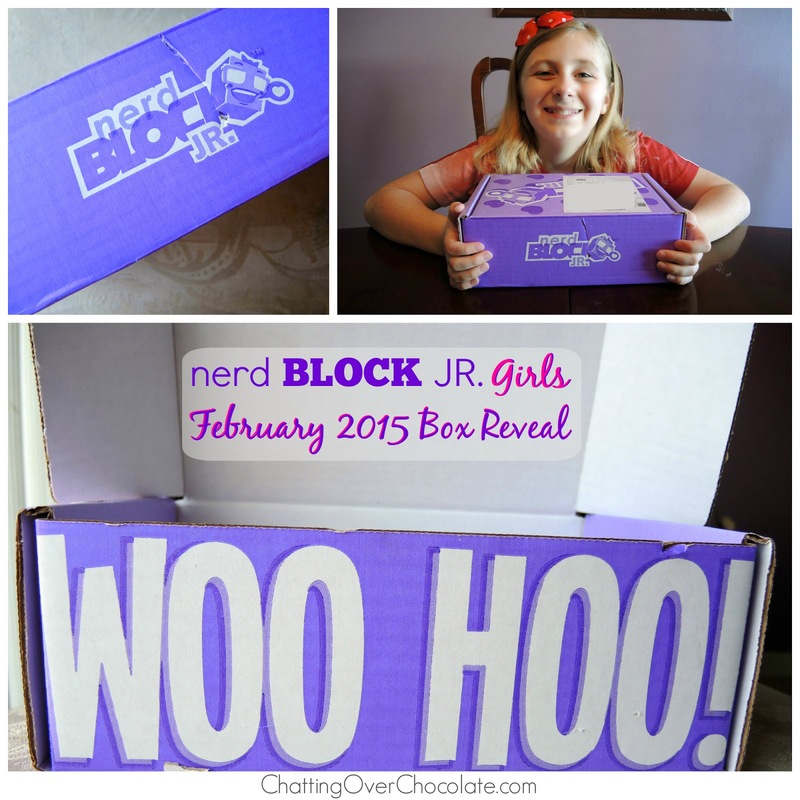 Girls February 2015 Box Reveal! Such a cute idea! Love the rock, paper, scissors game. 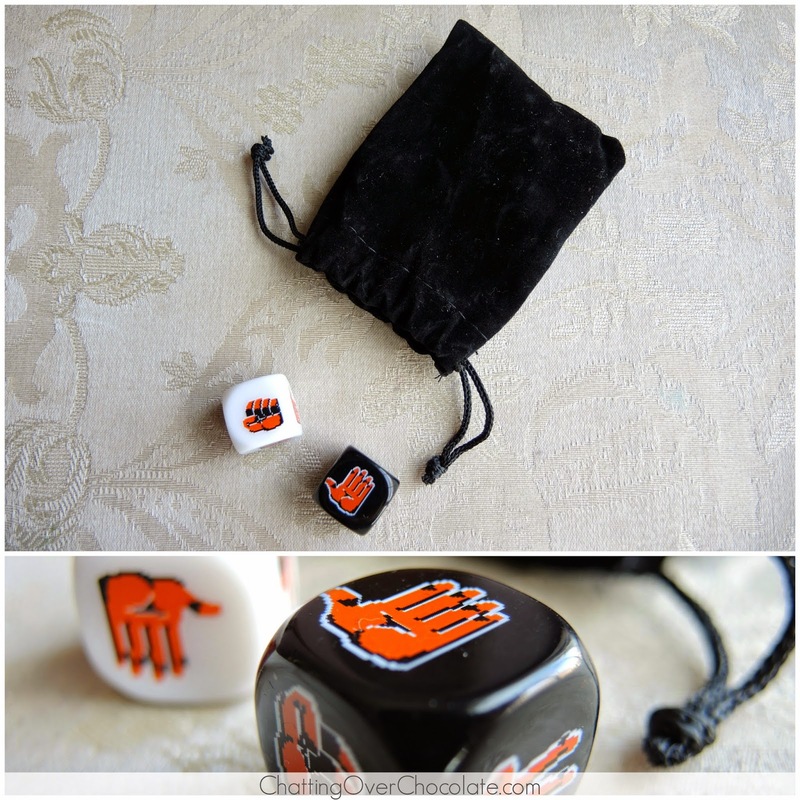 hahah the rock paper scissors dice! Super cute. Chris and I do that all the time for things...usually diaper duty. And, the card game looks hilarious. Simple but creative. I don't think I knew about a Firefly online thing, but Chris and I really liked the series. 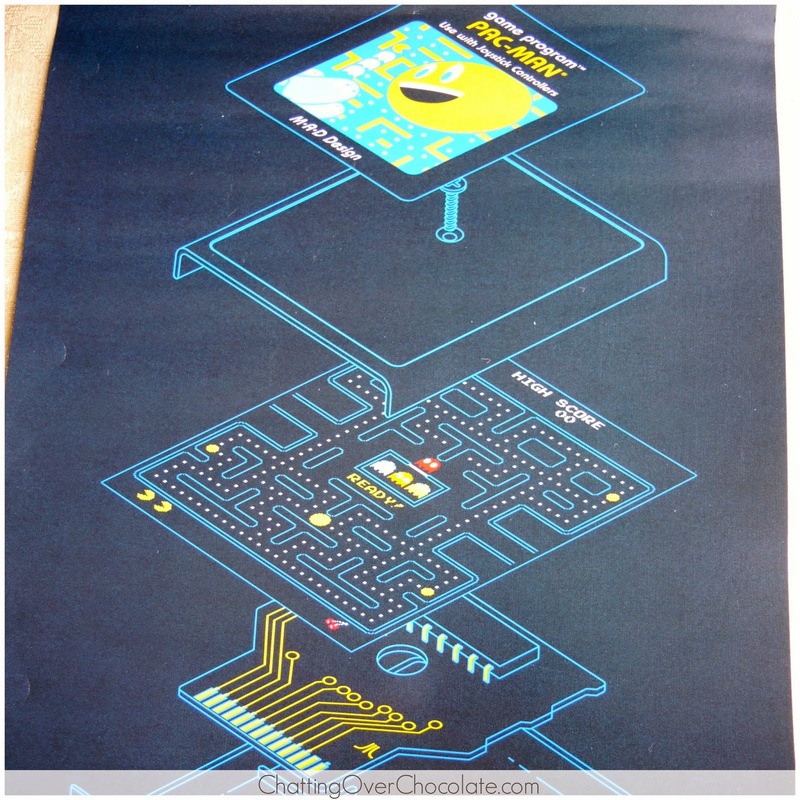 What a fun idea/gift. Everything you got was great and so much fun.